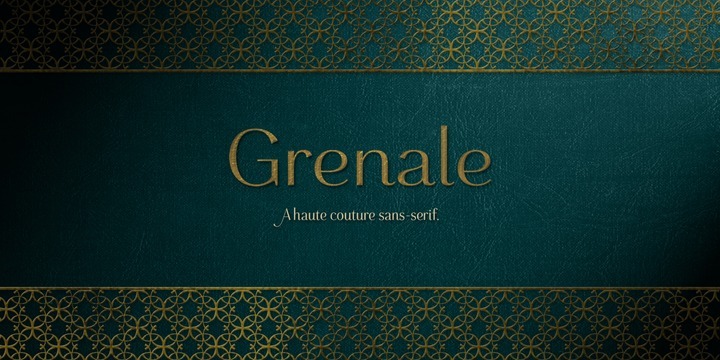 Grenale is a typeface created by Jeremy Dooles and published by insigne. Grenale family includes 48 elegant sans-serif fonts perfect for wedding invitations, magazines. Also you’ll find a wide variety of alternates and an informative PDF brochure. I’m sure you need this font! A font description published on Thursday, February 28th, 2013 in Fonts, Insigne by Alexandra that has 4,433 views.